In the generations that followed initial settlement, the Hawaiians developed a sophisticated system of land use and resource management. In the early 1500s, the island (moku-puni) was divided into districts or moku-o-loko. The large moku-o-loko were further divided into political regions and manageable units of land. Ahupua‘a, another division of land, were usually marked by altars with images or representations of a pig placed upon them, thus the name ahu-pua‘a or pig altar. The ahupua‘a were also divided into smaller manageable parcels of land—such as the ‘ili, kō‘ele, mahina ‘ai, māla, and kīhāpa – makaʻāinana lived on kuleana. The ahupua‘a supplied food and materials to the makaʻāinana who tended the land, as well as to the konohiki (overseers,) who administered the ahupua‘a and the aliʻi nui (chief,) who was responsible for several ahupua‘a. The makaʻāinana lived on the lands assigned to them by the chiefs as long as they worked acceptably and paid adequate taxes. As long as sufficient tribute was offered and kapu (restrictions) were observed, the makaʻāinana who lived in a given ahupua‘a had access to most of the resources from mountain slopes to the ocean. The makaʻāinana were allotted a plot of ground by their chief. Here they planted, irrigated, nurtured and harvested taro, sweet potatoes and other crops. They raised pigs, dogs and chickens to supplement their diet, and they had the right to fish in the sea or in protected fish ponds. 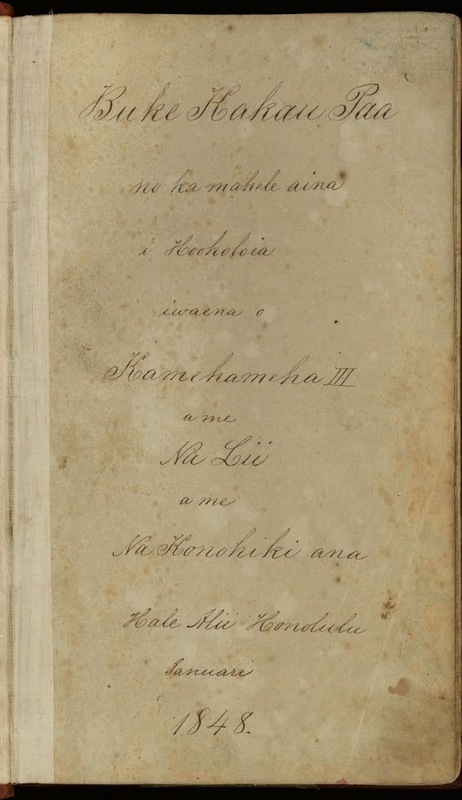 Deeds executed during the Māhele conveying land contained the phrase “ua koe ke kuleana o na kānaka,” or “reserving the rights of all native tenants,” in continuation of the reserved tenancies which characterized the traditional Hawaiian land tenure system. The Kuleana Act of 1850 authorized the Land Commission to award fee simple titles to all native tenants who lived and worked on parcels of Crown, Government, or Konohiki Lands. Most makaʻāinana never claimed their kuleana. In pre-western contact Hawai‘i, all ‘āina (land), kai lawaiʻa (fisheries) and natural resources extending from the mountain tops to the depths of the ocean were held in “trust” by the high chiefs (mō‘ī, aliʻi ʻai moku, or aliʻi ʻai ahupua‘a). The Māhele defined the land interests of King Kamehameha III, 252-high-ranking Chiefs and Konohiki (including several foreigners who had been befriended by members of the Kamehameha line), and the Government. The “Kuleana Act” of the Māhele defined the frame-work by which hoaʻāina (native tenants – also makaʻāinana, commoner) could apply for, and be granted fee-simple interest in “Kuleana” lands. The Kuleana Act, passed by the King and Privy Council on the December 21, 1849, is the foundation of law pertaining to native tenant rights. It reconfirmed the rights of hoaʻāina to: access, subsistence and collection of resources from mountains to the sea, which were necessary to sustain life within their given ahupua‘a. 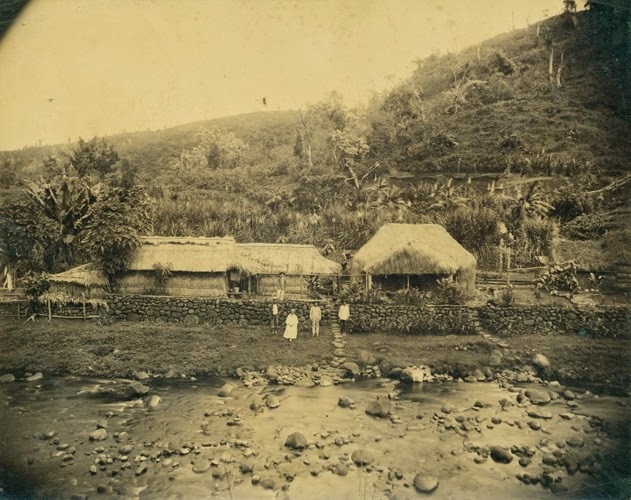 The Māhele gave the hoaʻāina an opportunity to acquire a fee-simple property interest (lands awarded to the hoaʻāina became known as “Kuleana Lands”) in land on which they lived and actively cultivated, but the process required them to provide personal testimonies regarding their residency and land use practices. Unlike the Māhele awards (which required payment of commutation, either in land or in cash equal to one-third of the unimproved value of the land at the time of the Māhele) kuleana lands granted “fee simple titles, free of commutation … to all native tenants, who occupy and improve any portion of any Government land, for the land they so occupy and improve, and whose claims to said lands shall be recognized as genuine by the Land Commission”. Often, the kuleana included several apana (pieces.) These typically included the site where the house was located, various loʻi kalo and other areas of cultivation. The hoaʻāina/makaʻāinana had to follow certain steps before they could own their land. First, they had to have their kuleana surveyed, or measured for size and boundaries. Then they had to present their claims to the Land Commission, showing that they had a right to those kuleana. The kuleana awards account for a combined 28,600 acres of land – less than one percent of the Kingdom’s lands. (Lots of information here from Maly.) The image shows a representation of a family’s kuleana. At the time of Captain Cook’s contact with the Hawaiian Islands the land was divided into several independent Kingdoms. By right of conquest, each King was owner of all the lands within his jurisdiction. After selecting lands for himself, the King allotted the remaining to the warrior Chiefs who rendered assistance in his conquest. These warrior Chiefs, after retaining a portion for themselves, reallotted the remaining lands to their followers and supporters. The distribution of lands was all on a revocable basis. What the superior gave, he was able to take away at his pleasure. This ancient tenure was in nature feudal, although the tenants were not serfs tied to the soil – they were allowed to move freely from the land of one Chief to that of another. The King retained all of his private lands as his individual property; one third of the remaining land was to be for the Hawaiian Government; one third for the Chiefs and Konohiki; and one third to be set aside for the tenants, the actual possessors and cultivators of the soil. Each māhele was in effect a quitclaim agreement between the King and a Chief or Konohiki with reference to the lands in which they both claimed interests. The Great Māhele itself did not convey title to land. The high Chiefs and the lesser Konohiki were required to present their claims before the Land Commission to receive awards for the lands. Until an award for these lands was issued by the Land Commission, title to such lands remained with the government. The awarding of these completed the māhele of the lands into the Crown lands, Government lands, Konohiki lands and Kuleana lands and brought to an end the ancient system of land tenure in the Hawaiian Kingdom.